Home/ Uncategorized / Baby development. Third month of life. The third month of an infant’s life can be described as a consequence of everything they learned so far. At this time babies grow and develop very rapidly, impressing their parents with new skills and abilities almost every day. Three month old babies are fully adapted to begin their life’s adventure. Apart from enormous physical changes at this stage, they start their active social and emotional development. Babies of this age have enough body strength to swap lying on their back to lying on the tummy while supporting their head and chest. Due to intensive development of the hypodermis, your baby becomes more plump and his cheeks get chubby and well-rounded. As a result of teething, babies start biting everything to relieve pressure in the gums. The height and weight of a 3 month old usually depends on genetics, type of feeding and also the size of the baby during their birth. It’s very important paying monthly visits to your pediatrician not just for doing regular health checks, but also for weighing and measuring the height of your infant. At this age your baby should approximately be 54-64 cm tall and weigh around 3-6 kg. It’s acceptable to have 0.5-2kg more than those characteristics if you are breastfeeding your child, so remember, don’t be worried in this case as it’s impossible to overfeed the baby with breast milk. However, if these numbers are lower, it’s possible that your baby isn’t eating enough (sometimes mothers change the breast too soon or don’t let their babies have as much milk as they need), that’s why it’s recommended to take a “Lactation class” during the pregnancy. When babies are slightly heavier or lighter of these norms, some mothers panic without reason, so you should remember: if your baby is active, curious, eats and sleeps enough, and his hair and nails are growing, it means that there is nothing wrong with him and nothing to worry about as a parent. By three months old, you’ll find that your baby develops new amazing skills and becomes more aware every day of his own body and the world around him. For example, the baby’s neck becomes stronger at this period and it allows babies to lift and hold their head up for a few seconds. Another new skill that your baby learns at this age is the ability of turning from his back to lying on his tummy. After your baby succeeds this movement, make sure you never leave him alone in the room lying on a high surface (bed or couch), otherwise he can accidentally fall down. For your baby’s safety, whenever you are leaving the room, put him in his infant bed so even if he decides to apply his new abilities, he is safe to do so. These are the most commons skills that babies acknowledge at this age but remember that your little one is unique and grows in their own specific way. If your pediatrician provided you with daily exercises for your infant’s physical development, make sure you don’t forget about them. 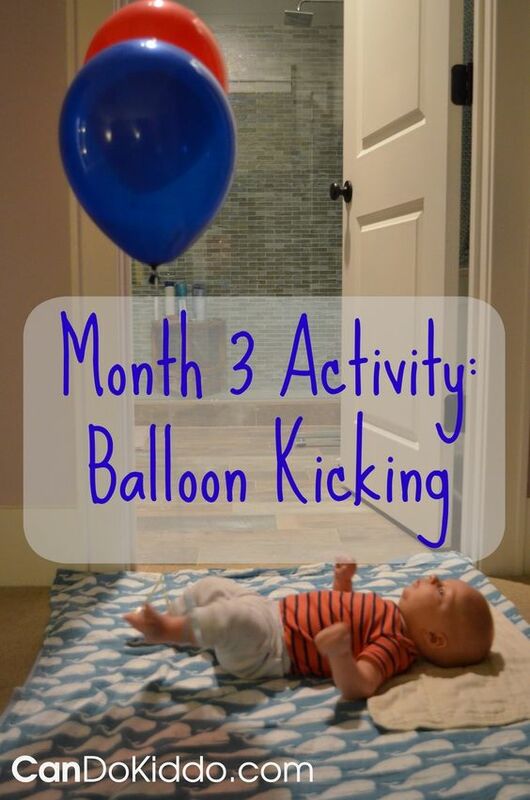 You can also add another exercise to the list that would stimulate baby’s motor functions. Put your baby lying on his back and lift his right leg and move it slightly towards the left side tossing across his body. It’s the most difficult part for babies while turning from side to side as they are only learning how to push off the horizontal surface. Lie your baby on his tummy every day. This is very important and helps to improve the second skill which makes his muscles stronger and helps coordination. To make this more fun, you can use baby’s playmat and simply put some colourful toys around. Babies like looking at their own appearance, so if you put a little mirror next to their face, this will make the whole process even more interesting for them. It’s very important to show how proud parents are of their little baby, as even at this early age children can feel love and support that empowers them to learn more and improve their skills. For many parents, the third month of baby’s life is that exciting time when they can finally see their baby’s first sincere emotions. When babies see somebody they love, they are trying to express how glad they are to see this person and respond directly with a happy smile. This reaction is called “Revitalisation complex” which appears in relation to the adults, and apart from smiling, may also include the baby’s hands and legs actively moving as a another way of showing emotions. At the third month of their life- infant’s senses do have a massive improvement. Babies learn how to coordinate their sight on moving toys and focus on a single object, which means that they are getting more aware of their own senses and start exploring this world through biting and licking everything which looks interesting to them. Along with sight changes, your baby’s hearing also improves. Now they can focus on listening to different sounds knowing what the source of them is. Another achievement of a three month old is recognising voices of their parents and reacting to them with a smile. Babies enjoy to analyze the world. They try to touch various surfaces, lick rattles and other toys and they love to look at new faces and objects while listening to all the sounds appearing in their house. Their main way to learn about this world is through perception and sensation. By the age of three months old, babies already have developed their own individual and particular routine. It’s clear that this routine will be changing a lot during the growth process, but at least mothers can finally manage to plan their day with some hours to spare for themselves. Even though the most important business of your baby is mainly sleeping and eating still, three month olds already have quite a few active periods of playtime. Infants of this age sleep about 19 hours a day where 9-10 hours fall in night sleeping and the rest is for daytime naps. Depending on the type of food you are giving to your child, their feeding schedule will vary. If your baby eats mixed infant’s food from the bottle, then it’s recommended to follow the instructions of the particular brand. If you are feeding your baby with breast milk, they are deciding themselves how much and how frequently they are willing to eat. As the third month is a very active phase of growth, mothers should remember that at this period- babies start eating more than usual. Many mothers are complaining that it’s hard to feed their babies at this period, because they are moving a lot and observing everything while getting distracted from the breastfeeding process. Such nervous behaviour makes many mothers think that their baby needs to be fed more, or that it’s time to add some solid foods to the baby’s daily meal. However, there is no need to do so- as at this period it’s very important to keep lactation going. The best thing mothers can do now is focusing on the baby even more and offering them breast milk more often. After this difficult period infants usually calm down and start getting used to their feeding routine. When your baby reaches three months old age he starts his active phase of development which means that he is ready to play some fun games with you- which can help him learn even more! Three months old infants are no longer interested in the all-day snoozing, in fact they are willing to spend their time in a more exciting way. You can entertain your baby while playing short and simple games with him that can help him develop. It would be great if along with that- you read a merry poem or a rhyme for your kid because at this stage babies start to make their first sounds which are called ‘pre-speech vocalisation’. Hearing the correct sounds (and their pronunciation) would definitely make improvements. Surprisingly, one of the most popular ways to play with your three month old is playing with a rattle – it’s been a proven methodology for years. You can try to make your baby touch different materials (like a few types of cloth) or have a look at various pictures, for example illustrations in books. If you want to help your baby’s physical development, you can do a little massage of his palms and feet or make him do very primitive forms of gymnastics. The most important thing now is to communicate with your baby. No matter what you are doing, always talk to your baby- and your voice should be emotional, but calm. It’s not just a way of developmental learning for them, but it’s also a way to express your love to them. What games does your baby like to play the most at this age? How do they react seeing parents or other people they love? 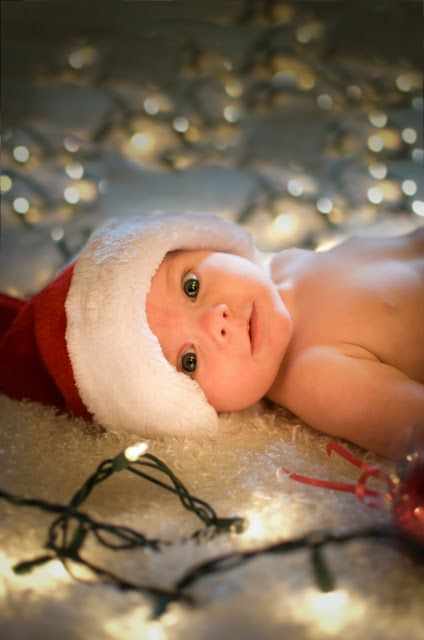 Share your best experience and the most vivid memories of raising a 4 month old baby!